Every year in the UK, 400 products are recalled but only 10-20% are ever returned. Product recalls are often made about safety concerns where the goods in their present state may pose a danger to the user. By law, manufacturers must take all reasonable steps to inform consumers when a product is recalled, but there is a responsibility on consumers to act on that information. In recent weeks, product recalls have included children’s toys decorated in toxic paint, unsafe office chairs and e-coli found in supermarket sold watercress. 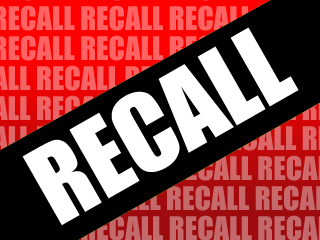 Some of these items attract national media attention, but all too often the recall notices are unseen and dangerous products remain in circulation. make arrangements for the collection or return of the product from consumers who have purchased it or for its disposal. Where the product is a car, for example, it is much easier to identify and contact owners. Similarly, where electronic or other often valuable items are registered to validate a warranty, contacting consumers may be quite straightforward. However, items such as groceries and smaller, less expensive purchases are harder to trace and makes notifying consumers more difficult. In addition to the standard directions included in the 2005 Regulations, Local Authority Trading Standards Departments can issue recall notices and impose additional requirements on manufacturers as are reasonable and practicable with a view to achieving the return of the product from consumers or its disposal. The legislation is rather vague and open to interpretation, but there are minimum standards which must be upheld. National and international retailers and manufacturers will usually issue advertisements in local and national newspapers and make the information available in their stores, on their websites, through social media channels and may contact registered consumers via email or post. If you have any suspicions or queries about recalled products, you can check the Trading Standards Institute website which displays product recall notices and the RecallUK website which provides other information, such as undisclosed ingredients in food which may affect those suffering allergies. WHAT IF SOMEONE IS HURT OR INJURED? If someone is hurt or injured by an unsafe product then it should be reported to Trading Standards who are responsible for enforcing product safety laws. If food is unsafe then it should be reported to your local environmental health department as the person who sold it to you may have committed a criminal offence. if you are injured, you may have grounds for a civil claim against the manufacturer for personal injury and you should consult a specialist local solicitor who may be able to act for you on a no win, no fee basis. Information about local solicitors is available through the Law Society. Tags: Allergy, Claim, Hazard, Injury, Law, Lawyer, Legal, Media, Product, Recall, Regulations, Safe, Social, Society, Standards, Titchmarsh, Trading, Watercress. Bookmark the permalink.